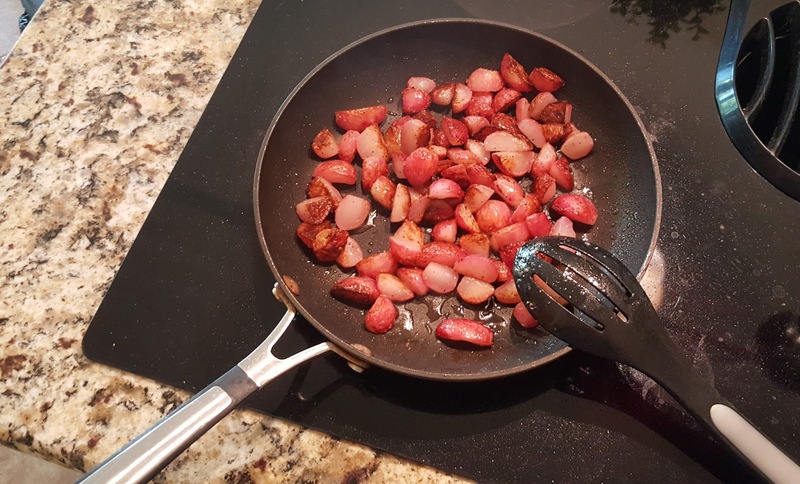 I am back with another low carb, keto-friendly dish that I tried out this last weekend. Cauliflower is great substitute for mashed potatoes but doesn't do it when it comes to boiled or fried potatoes. I had been hearing that radishes are a good substitute but I have never liked radishes. They have always tasted far too bitter and peppery for me. 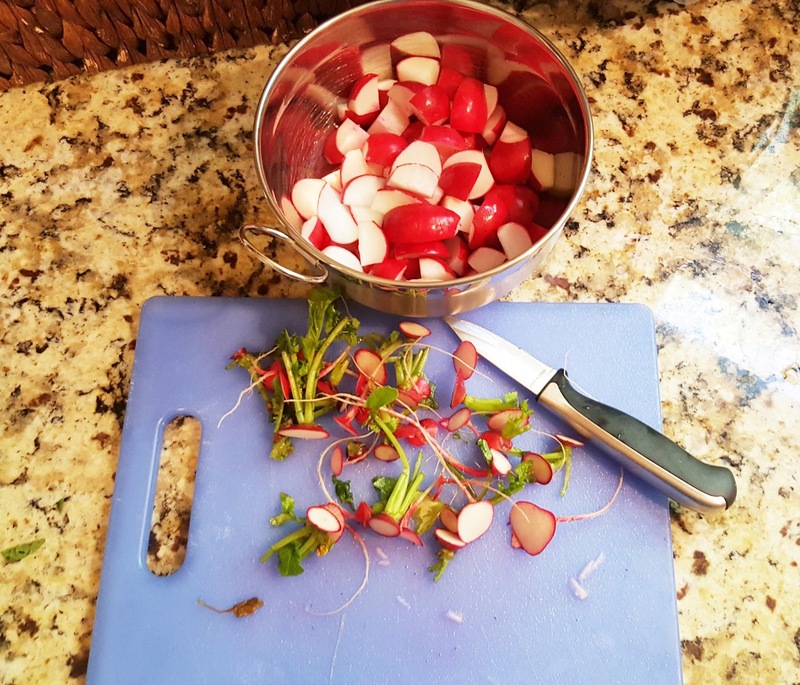 Apparently if you boil radishes, they lose a lot of the strong flavor and become much mild. I was skeptical but I still wanted to try. Rinse radishes and remove the ends. Slice into bite size pieces. These look like new potatoes already. 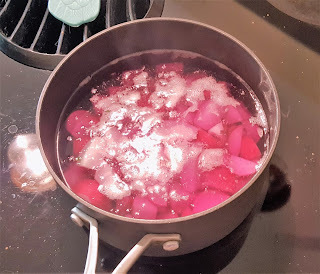 Boil radishes for about 10 minutes on medium heat. The water will turn a bit purple, that's ok. Drain radishes and try to dry the radishes as best you can. Add radishes to heated skillet with the oil of your choice. I salt and peppered my radishes as they cooked. Once complete, prep your faux fried potatoes to your preference. Mine are topped with cheddar cheese, crumbled bacon, and ranch dip. The radish has a slicker texture than a potato but the flavor becomes very mild. This was definitely one of the more decadent things that I have made keto-friendly but I wasn't disappointed. I can now say I am a former radish-hater as these were really tasty.